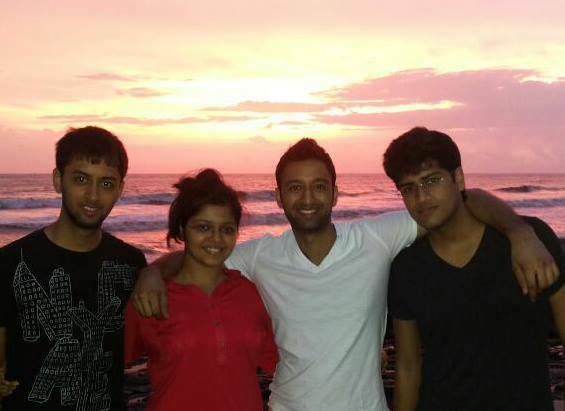 In India this summer with me (far left), my brother (middle right), and my two cousins. No, I am not Hawaiian. I am, in fact, Indian (both my parents were born and raised in India). My name is Hirsh Gupta, and am a sophomore in the School of Arts and Sciences. Currently a pre-business major, I am still confused about which major I want to pursue, although I do have a vague idea, either economics or something in the business school. I am born and raised in New Jersey (I was actually born in New Brunswick!) and I currently live in Plainsboro, a fairly small town outside of Princeton. Central Jersey exists! In my spare time I like to hang out with friends, play basketball, watch TV, and play video games. I am also a HUGE sports fan; the Yankees are my favorite team and baseball is by far my favorite sport. In fact, it would probably be tough for you to find a bigger baseball fan than I am. I also like the Brooklyn Nets (NBA), NJ Devils (NHL), and the NY Jets (NFL). I mostly enjoy sports video games, but I also enjoy shooter games such as Call of Duty and Grand Theft Auto (it may not technically be a shooter game, but guns are heavily involved in the gameplay). I love watching sitcoms and other comedy related shows, and some of my favorites include Big Bang Theory, How I Met Your Mother, and Family Guy. My favorite comedian is Russell Peters. Up until this summer, comedy shows were pretty much the only shows I would watch, but I got hooked onto Breaking Bad (possible spoiler alert), Suits, and Dexter. I pretty much listen to all types of music. If you were to look at the songs I listen to, they are all over the place. Seriously, one song would be by Eminem and the next could be by The Beatles or K’Naan (you guys should seriously check him out) or Red Hot Chili Peppers. I also used to play the trumpet for about seven years and the viola for one year before that (my brother allegedly brainwashed me into quitting the viola to play the trumpet). I played for my high school’s marching band for three years and the jazz band for four years (I am not a band geek, I swear!!) and enjoyed all the different experiences I had and friends I made along the way. I hope to enjoy read all of your (hopefully) fun-filled blogs, and also hope that you guys will enjoy mine (whatever it may be about)! The name is Donna. Currently I’m an undergraduate enrolled in the School of Arts and Sciences at Rutgers University New Brunswick. I’m a senior and this year is quite exciting. I am majoring in Geography taking the environmental track as well as completing a Certificate in International Geographic Perspectives for the major. So what am I doing in a creative writing course about blogging? I’m also minoring in both music and english. I love to write creatively and I find blogging to be an interesting outlet to do so. I’m pretty diverse with my interests as you could tell with my major and minors. The first thing I’d like to confess though, is that I have a small obsession with anime. And when I say small, I mean colossal. I can’t count how many series I’ve watched. 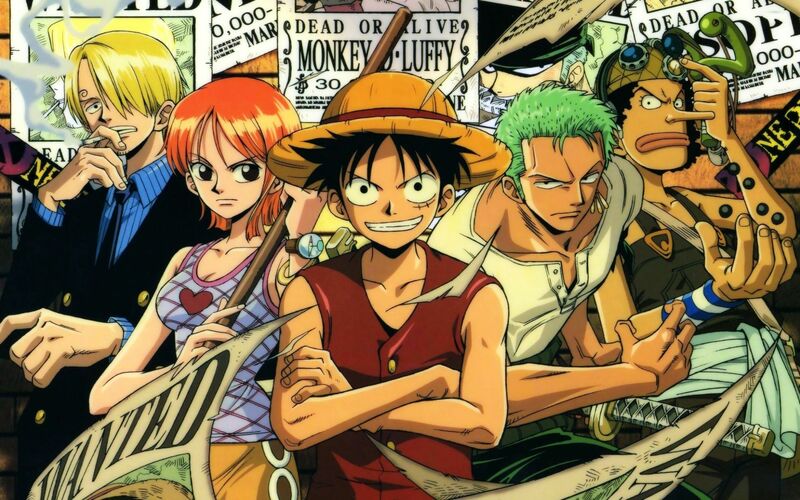 My favorite that I still watch is One Piece but I definitely have other favorites, like some that are only 26 episodes as opposed to 600. I’m kind of a geek, nerd, dork… whatever you’d like to call it. I love video games too, though I haven’t been too much into them since college started. I did have a little excursion with World Of Warcraft for a bit. It’s a fun MMORPG (Massive Multiplayer Online Role Playing Game) and I’d still play it if I had the time and money but I’m not one of those people to get sucked into it and give up anything and everything to play it. Next I’m a Rutgers Marching Scarlet Knight. I’ve played tRUmpet for 12 years now and of those 12 this year will be the eighth year that I am marching. I love this sport, and yes it is indeed a sport. So if you go to football games keep an eye out for me! Being in the band here at Rutgers University really was a life changer. You meet so many friends while doing something you love! It’s great! 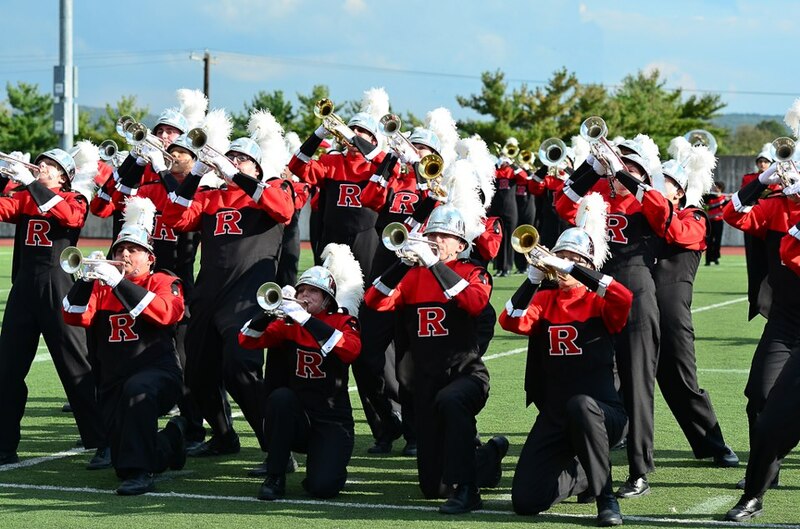 The Rutgers Marching Band also led me to becoming a Brother Mu Beta Psi the National Honorary Music Service Fraternity. And yes I said Brother and Fraternity! We’re coeducation because a musician is a musician. I honestly can’t imagine where I would be right now had I not done all these things. The last fun fact I’ll leave you with is that I am Polish! The title to this post says “hello” but its more of a “hey!” I myself am American born but my father was born in Poland. My mother has polish roots on her side but was American born as well. I’m 100% Polish! I’ve lived with my Father though for most of my life and my step-mother was also born in Poland so even though I’m not completely fluent I can basically understand everything with a few exceptions. I can also kind of read and write it!